The only bookshelves in our house are in June’s room, one and a half walls of built-ins that bracket the space like a capital L. The previous owner had used the room as an office, as far as we can tell, and we planned to do the same. We set my desk under the window. I had just started writing Delancey then, and I pounded out the early chapters there – or, more often, avoided pounding out the early chapters by watching nuthatches flit around the giant evergreen outside. At some point, we decided that having a baby would be good idea, and to make room for her, we moved my desk to the dining room, replaced it with a crib, and hung her name on the door. And that is how it came to pass that the only bookshelves in our house are in June’s room, three people’s worth of cookbooks, fiction, grad school texts, and picture books, climbing the walls. I like to imagine that this will make some kind of lasting impression, that she’s absorbing novels and recipes by proximity as she sleeps, maybe, or that she’ll grow up to remember the books as a quiet, reassuring presence, like the old lady in the rocker in Goodnight Moon, the one whispering “hush.” I like to imagine. In any case, the fact that we have only limited space for books is frustrating, but it’s also nice, because I get a real thrill out of getting rid of books we don’t use. We could buy some bookshelves, yes – or I could just cull the herd once a year and revel in the satisfaction of that until it’s time to do it again. For now, we’ve chosen the latter, and last week, I hauled four bags of books to Half Price Books. Cheap thrills! Anyway, as I was doing this latest round of culling, my hand paused on the spine of Breakfast, Lunch, Tea, by Rose Bakery founder Rose Carrarini. I’ve had the book since shortly after its publication in 2006, and though I’ve used it twice at most, I can’t seem to get rid of it. I like its spacious layout and the way the food looks tidy and geometric, but also clearly handmade. A loaf of polenta cake is impeccably square in cross-section, but the powdered sugar on top is uneven. One arm of a star-shaped gingerbread cookie bends slightly, gracefully, toward another arm, like a sea star on the move. A small lemon tart is clean and round as a clock face, but the lip of the crust rises gently at four o’clock, where a finger pinched it shut. This is food I want to look at. Rose Bakery also has handsome concrete-and-metal tables, which you can see in a picture on page 57, and we liked them so much that, based on that picture alone, we copied them at Delancey. All that said, I never use this book. I almost never even pick it up. It takes up shelf space. My fingers itched. But then, then, I remembered having seen a recent mention of it online, and that this mention came from my friend Shari, she of the sweet potato pound cake and the raspberry-ricotta cake recommendations. 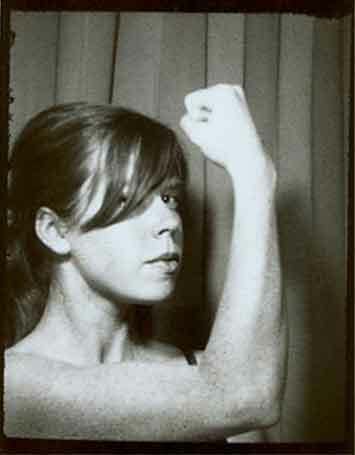 She’d posted a shot of some date scones she’d made from a Rose Bakery recipe, and she’d raved. I decided to let the book live another round, and I added dates to the grocery list. Now. 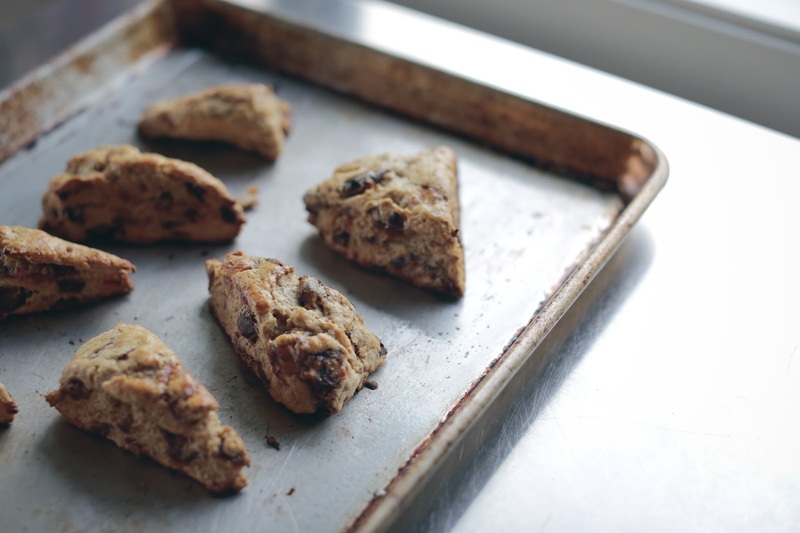 You probably don’t need another scone recipe, and I don’t either. But I will be keeping this recipe, need it or not. The dough is made from half white flour and half whole wheat, which means that it gets the flavor of wheat without its weight. It’s sweetened only lightly, and with brown sugar, so most of its sweetness comes from the dates themselves, dark and fudgy. You could stop right there and have a great scone. But this particular specimen also includes freshly grated nutmeg, which gives it – and, in my experience, any baked good that uses nutmeg in sufficient quantity – a certain intoxicating eau de doughnut. 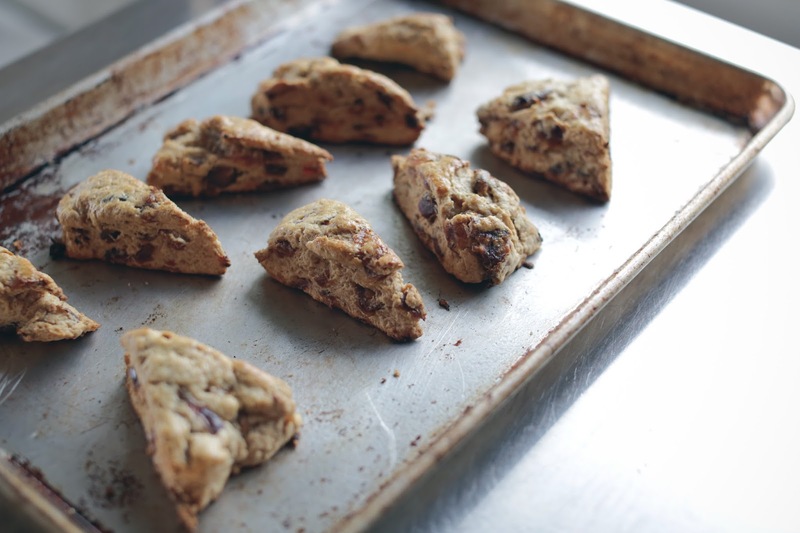 The scones bake up sturdy but tender, biscuit-y, and between the whole wheat and the sticky dried fruit and the spicing, they double as both a weekday breakfast and a totally racy afternoon snack. One final aside: your scones will not, and should not, look as date-y as mine do. The recipe as written in the book has both weight and volume measures, and I learned the hard way that the weight measure for the dates is incorrect. It calls for 250 grams of pitted, chopped dates, indicating that this should equal a scant ½ cup. Because I like to bake by weight, I didn’t even look at the volume measure before I cheerfully stirred in the entire 250 grams, or more than half a pound. I like dates, but there’s a limit. 250 grams, as it turns out, measures to nearly one and a half cups, or nearly three times what you actually need and want. The recipe below reflects my correction. Carrarini says that these scones should be eaten warm, with lots of butter, and eaten slowly. Eaten slowly! Riiiiiiiiight. As for kosher salt, I use Diamond Crystal brand, and though it might seem like a trivial detail, the brand does make a difference. If you use Morton’s, note that it’s saltier than Diamond Crystal, so use less. Set a rack in the middle of the oven, and preheat to 400°F. Line a baking sheet with parchment paper. In a large bowl, combine the flours, baking powder, salt, and nutmeg. Whisk to blend well. Add the brown sugar, whisking again, and then add the butter. Using your fingers, work the butter into the flour mixture, rubbing and pinching the butter until there are not lumps of butter bigger than a pea. Stir in the dates. Add about three-quarters of the milk, and using a fork, stir it into the dry ingredients. If it seems too dry and crumbly, add more milk as needed, but start sparingly, so that the dough doesn’t wind up sticky. Once the dough is coming together, put down the fork and finish bringing it together with your hand, pressing it and turning it to incorporate all the flour. Turn the dough out onto a lightly floured work surface, and massage it into a disk roughly 1 inch tall. Cut the dough into 10 even wedges (or squares, if you want, or you can use a cutter to make circles), and arrange them on the baking sheet. Brush lightly with egg. Bake for about 15 minutes, or until the tops are lightly golden. Serve warm – or, if eating later, reheat gently before eating. First of all, that book is like my xanax. I look through it, and I instantly feel so much better. I agree – the lack of food styling is, in the age of overstyling, much appreciated. Also, I want to live in those pages. But to your point about weight/volume issues – huge huge bee in my bonnet and something cookery team (hi!) at Phaidon is very much is focusing on going forward. I'm a little fanatical about precision in recipes, so I can, at least for the US part, vouch that there'll be meticulous checking and RE-checking of such things. 🙂 But yes, grams are where it's at. I want more Americans to start using it! These date scones are really lovely- this recipe and the recipe for ginger biscuits (which are really strongly gingery but strangely delicious) are the two reasons why I have kept this book. Those scones look delicious! Love how healthy they are 🙂 It's always nice to dig up old cookbooks and try recipes from them. Oh, the book lover's dilemma! I need to adopt your annual library curation strategy. 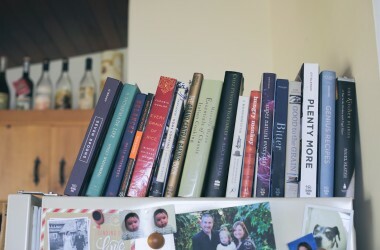 We have novels, cookbooks, poetry, business, and children's books spilling off multiple shelves throughout the house. Every few years I'm inspired to thin the collection but it grows anyway. As for another scone recipe, these sound worth of a place in the recipe archive. First of all, brilliant move posting a scone recipe on a Saturday morning. I read this and immediately went downstairs to make them. Secondly, I chopped about 40 grams of dates and had trouble stuffing them into a half cup. Wasn't sure if I should believe the 90-100 grams or the cup measure, so I just used the 40 grams. The whole family (including the 1 year old) is happily munching on them as we speak, so I think the 1/2 cup is fine? Curious to know what twice that would do, but can't imagine 4-5 times this many dates! My memories of my early childhood are very much ones of stacks of books, some well loved to the point of being memorized, and others untouched mysteries, surrounding me reassuringly and whispering hush. More or less. 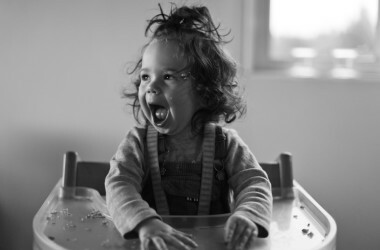 I feel the same way about The Joy of Cooking, it takes up so much room and I barely even look at it. Yet, it seems impossible to get rid of! I have been loving dates lately. Good thinking to bury them in some buttery scones! I have similar gripes about weights and instructions in both Breakfast, Lunch, Tea and How to Boil an Egg yet still I love both books. I really hope Phaidon pay more attention to this issue as they do publish some lovely books. Must try that scone recipe now. “eau de doughnut”!!!!! I love your writing! Love it! Love it! Plus, I love the verification with foods! Where in the world did you find that?? ooh!! i need that book, i think. i love food photos that SHOW that the food was made with love (like yours!). i hear you on the books and bookshelves. we just moved. sigh. will make these! Funny how I just did my bookshelf clean up dilemma last night. My best friend suggested to get another bookshelf, pitying me for making the call of another book culling. I was staring at the same green book. Pondering why I bought it in first place and why I never use it. Despite the rave of good reviews I find it fails to entice me. Yikes! I read for years without ever feeling the need to comment, yet this is the THIRD time I find myself responding to a post (and I'm sorry it's long). I was just relating to someone recently the story of my girl's first room (she's not quite 2 1/2). In our tiny place in Boulder, CO, we built a whole floor to ceiling wall of shelves for books in the office/guest room/tv room…which then of course became her room when she arrived. We've since moved back to Wa, into a bungalow with big built-in bookshelves, and her room now has only a little plain shelf with a couple of dozen books on it. In spite of the fact that the whole house teems with books, I can't help but feel like she had a little something extra having all those books in her space. I just pulled that book off my shelf this week too. I love it,but I seem to forget about it. 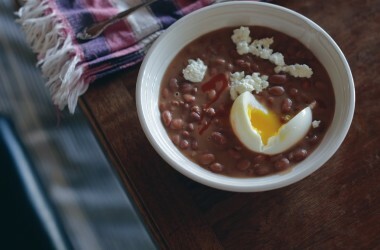 If you haven't tried the red bean slices, they are delicious! I also like the carrot and seed salad, asparagus and almond salad with chicken, and ginger biscuits. I spent what seems like most of my childhood in our basement playroom surrounded by towering bookshelves. I still love walking into libraries and bookstores for the same sense of infinite possibility and worlds to explore. Hah, I have been trying to buy the Kindle versions of cookbooks, just to save space. Also, I went to DiFara's Pizza in Brooklyn for the first time this past weekend, and thought of Delancey. The woman in line behind me asked her friend if DiFara has ketchup, to put on her pizza (?!?!). Her friend discouraged her from requesting ketchup. Make the maple scones sometime! They're my favorite. This scone recipe is incredibly timely for me Thank you. I have been on a one-person, anglophile mission to make the perfect scone here in Louviers, and it is suprisingly difficult to find the perfect recipe. I was just in London and tried as many scones as I could find; not inspirational enough. I'll try these. Thanks! My most used scone recipe is still the one you included in A Homemade Life. Not that I make scones all that often, but when I do, that's the recipe I bust out and modify for whatever kind of scone I'm craving. Please don't give up on the book just yet! Her carrot cake and banana cake recipes are my favorites to date and I think her lemon cake is wonderful too. I have that cookbook also, and I always think it is worth the space on my counter just for the title alone! I think nutmeg improves almost every baked good! It's way more important to me than cinnamon which is so loud and bossy. Anyway, I have dates to use up because we are tired of eating them plain, so I'm going to make these scones. 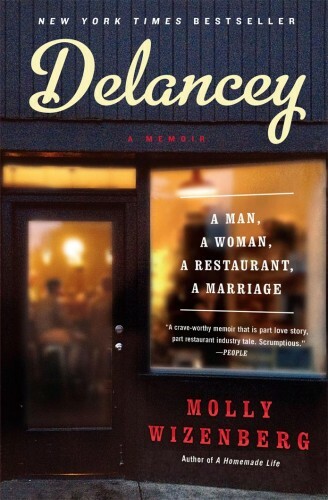 Molly, did you notice in the book that the tool Rose Bakery uses to shape some of their baked goods is a miniature version of the table design, which you decided to have at Delancey, as well. I think this book is a keeper in the same way some other books, like “Goodnight Moon”, for example, are –lasting value, without question. There's something so honest, good, and true about it. The audience is somewhat different than the usual home cookbook. The setting is a neighborhood breakfast and lunch place. After reading your post and comments, and looking at the book, I've decided to cook my way through it–I bet there are lots of treasures to add to my collection of favorite recipes. Thank you for another inspiring recipe. I made the ricotta and raspberry cake, which is now one of our favourite cakes for breakfast. I'm not a date person, but I do love nutmeg in sweet preparations, so I might try these scones, too! I just went through a book decluttering, too. When my boyfriend moved in we needed to squeeze two bookshelves into one, and it felt so liberating! I might do this every year to save space for new books! Eau de doughnut…you're the bomb! I made these scones on Monday night because it was literally the only thing that I wanted/had the energy to do that evening after reading the recipe at work. So worth it. I ate 2 or three on the spot, froze the rest and have been baking them up for breakfast all week. I added orange zest to the dough, and brushed them with milk instead of egg before baking. I'm also planning on making the raspberry-ricotta cake this weekend. Thank you for posting!!! 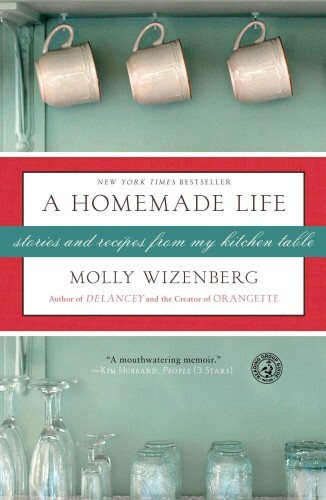 Molly, I'm a long-time reader who never comments but I must break my silence to express my relief that you gave this book another chance :p It's one of my absolute favourites, both aesthetically and recipe-wise, not only because everything I've made from it has been a HIT, but also because the recipes themselves seem to elevate the classics to something utterly divine (while maintaining their simplicity). If I had to pick a favourite, it would be the pistachio cake. It is dense and almost puddingy from the nut flour:egg ratio, yet light and zingy from the lemon zest/glaze. If you get around to making it I recommend reducing the sugar by about 25%. Perfection. I made these scones for Administrative Professional Day – they were very well received. I opted for some oat flour and soaking the chopped dates in Triple Sec overnight. Thanks for posting! OMG, soaking in triple sec sounds amazing! 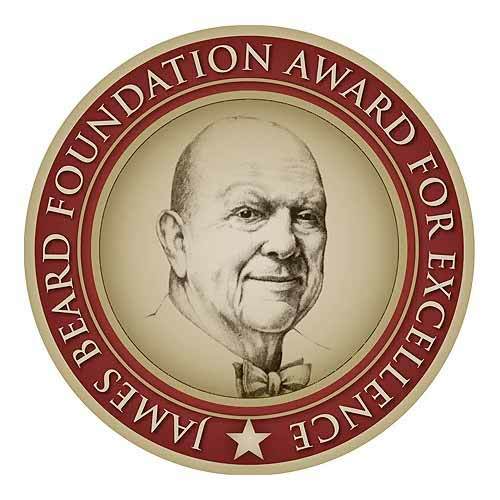 Congrats on your James Beard award!! Well deserved and long overdue. I made these scones because they seemed irresistible, and unusually for scones, tasted better the next day. I did find myself compelled to sprinkle a little more sugar on the top as they baked. Really I had no choice. thank you. This is a beautiful way to use dates. I love the sweetness and natural caramel flavor they add. What a thrill, Molly! And so fitting, you deserve it! I only wish I was there to toast you. I have everything except my milk is 1%! Will that make the scones dry? I think it’ll be okay! Go for it. I’d love to post a pic of the boy (12 y/o) enjoying the scone he made with some proper British tea. I made these today and they were gone. Scavenged by housemates and boyfriends. So much flavor from such a simple recipe! Since having a baby, scones- and matcha lattes- have been the object of my craving! I live in Ballard, too, and have taken it upon myself to sample all the neighborhood varieties. My favorite so far is from Tall Grass, and these have the same texture and flavor that I love! I think it’s the blend of all-purpose and wheat flours that make for such a pleasing taste. 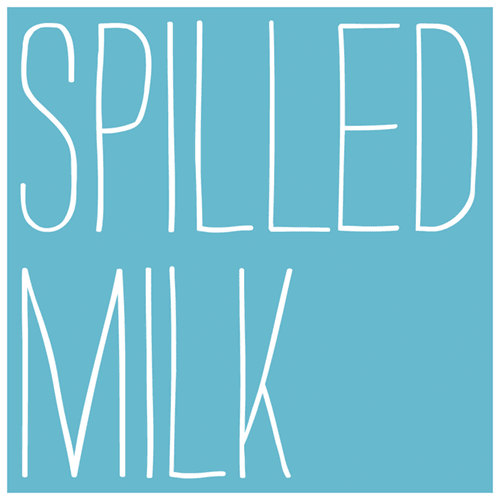 I’ve been meaning to make these since you talked about them on Spilled Milk – the date episode, I think- and literally have announced every day for the last month that I will make scones. Today, the babe was (relatively) content to sit in the kitchen and watch as I whipped up the batter. My disc made 8 scones, of which two are already gone! Delicious. I have never made scones before but this recipe seems easy and delish! I love your photos! These are going on my baking to do list.